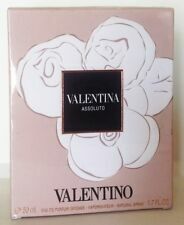 Valentino Valentina 80ml Eau De Parfum Spray - Used 97% Full. Condition is Used. Dispatched with Royal Mail 2nd Class. Perfume Grab a bargain ! As u can see in the photos this item is almost full . And almost new ,no box 80ml bottle with approx 97%full , with a few scratches on the back vy is as seen in the photos Will be sent in a small box (not original box ) with bubble wrap . As u can see I have high seller feedback , so Buy with confidence all my items are all genuine , please note I have tried to describe this as accurately as possible . please if u have any question estions or problems please don’t hesitate to ask. I’ll try my best to sort anything out that needs sorting . Good luck. VALENTINO VALENTINA ACQUA FLOREALE - EAU DE TOILETTE 80ML. SUPER OFERTA! EAU DE TOILETTE 80ML. Coste de Envío Sólo se hacen envíos que no superen 2kg. EAU DE PARFUM INTENSE PARA MUJER. VAPORISATEUR SPRAY. ESPAÑA : El transporte de este artículo se realizará por agencia de transporte urgente. GASTOS DE ENVIO. We want your order to arrive to you safely and in the best condition. Seductora, y sofisticada, lejos de las convenciones y carismática, la mujer encarna su propio estilo. Un frasco de alta costura. Flores de alta costura. Anuncios a punto de finalizar. Nuevos productos. Notas de salida: Trufa Blanca, Bergamota de Calabria. Notas de fondo: Madera de cedro, Ambar. Añade un título. Formato: 50 ml. En logística no son días hábiles sábados, domingos y festivos. Tipologia: Eau de Parfum. Notas de salida: Trufa Blanca, Bergamota de Calabria. Notas de fondo: Madera de cedro, ámbar. Añade un título. A clean, powdery scent. for the romantic woman. VALENTINO VALENTINA ACQUA FLOREALE 50 Ml Conjunto de Regalo EDT + Loción Corporal 100 Ml Nuevo. La bergamote de Calabre chante l'exubérance et la fraîcheur, chahutée par linsolence de la truffe blanche dAlbe. Enfin, la noblesse du cèdre se laisse séduire par la sensualité captivante de lambre. EAU de PARFUM. Launched in 2017 this beautiful fragrance begins with soft notes of Morello cherry and pink pepper with orange blossom at the heart and a sweet praline base. A truly stunning sweet and fruity fragrance. Simple and elegant, the fragrance is a floral bouquet, composed of sambac jasmine, tuberose flower, orange blossom and nyamphea flower, refreshed by a fruity touch and enriched by an intense heart of patchouli and vanilla. Fragrance Line: Assoluto. Content Quantity: EDP Intense Spray 80ml Body Lotion 200ml. Eau de Parfum. Produktart Eau De Parfum. Una colección de bienes queda excluida. Valentino valentina perfume. Eau de parfum. Bought in Italy. About 15ml left.